Dr. Alice R. Berkowitz has been in practice as a Clinical and Forensic Psychologist since 1986. Parallel Parenting is reserved for high-conflict divorces where coParenting is impossible. It is for parents that still carry a great deal of animosity for one another (or at least one parent carries animosity for the other), cannot work together, continue to fight in front of the children, disrespect the other parent, and/or cannot be consistent in their childrearing. In fact, they often work to make the other parent angry, even if it hurts the children. This is usually worked out by an evaluator, parent coordinator, or a judge. The schedule of when the children are to be with one parent and then the other is spelled out in a court order, including vacation days, holidays, etc. Drop-offs and pick-ups are done either at school (when school is in session), at camp during the summer (if they go to camp), or by a neutral third party when school or camp are not in session. If there is not a neutral third party, drop-offs and pick-ups can be done at a public place, such as in front of a store (or right inside of a store if they live in a cold part of the country), in an outside mall, or, in very serious cases, inside a police station. There is no flexibility in changing days and if one parent travels for work, make-up time must be planned in a court-monitored email. Parental contact can only be through court-monitored email Service or if that does not exist, emails or faxes. Communication between parents is to be strictly confined to changes in schedules (if one parent is traveling), when a child is ill, school reports, or an important issue with one of the children. Contact is limited to avoid conflict and fighting and to protect the children from the animosity between parents. Parents are to schedule separate parent-teacher conferences. If needed, a court order can be sent to the school to ensure that this occurs. At all other events, especially when children are present, parents are to split up the events by event. The other option is that one parent can attend the first half and the other parent can then attend the second half. This excludes large school activities, like football, basketball, hockey, or baseball games or graduations, where there are many people and parents can avoid interacting. However, if there is an incident at any of these larger activities, one or both parents need to report this to the minor’s counselor on the case, the parent coordinator, or their attorney. The idea is to protect the children from seeing negative interactions between the parents, as well as to protect the parents from experiencing them. In parallel parenting situations, a set of household rules is agreed upon by both parents with either a custody evaluator, minor’s counselor, parent coordinator, or judge. The rules in each house won’t be the same because they are different households, but the idea is to try to structure certain rules for the children that are consistent in both houses. For example, general rules might be created around bedtimes, showers or baths, morning schedules, mealtimes, homework times, brushing teeth and hair, curfews, driving, dating, and so on. The basic rules around taking care of the children are what is hopefully set and carried through. This is critical for the children. They may not say it, but it hurts them deeply to hear one parent speak negatively about the other. It also injures their sense of trust in relationships and may cause deeper levels of emotional problems. Parallel Parenting is similar to being two partners in a company who may not like each other but will make the company go under if they don’t work together. When I teach parenting classes to high-conflict couples, I start with this premise. Do you want this company that you have built to go under because you two don’t like each other? How can you work together, both being heads of a money-making company that supports many people, without fighting and without having much contact except for emails with each other? There is a great deal more to this, but this notion really helps high-conflict couples disengage personally and begin to look at their family as a company that they need to run. It becomes much more task-oriented and each party over the ten weeks becomes less angry. It does not work for everyone, but for people that know they are hurting their kids and have to find another way at looking at parenting with someone they have been so hurt or angered by, this approach can be very successful. Dr. Alice R. Berkowitz has been in practice as a Clinical and Forensic Psychologist since 1986. Her psychotherapy practice is currently located in Beverly Hills, California, after over 28 years at the prestigious Cedars-Sinai Medical Office Towers in Los Angeles, California. Serving a wide variety of clientele, Berkowitz sees many high profile personalities in the Los Angeles area, is certified as an addiction specialist and travels doing consultations all over the country. Berkowitz is also trained as a neuropsychologist and is well versed in the effects of addiction on the different areas of the brain. In addition to her work as a clinical psychologist, Berkowitz has also worked as a Child Custody Evaluator, Expert Witness, Mediator and Reunification Therapist in Family Court since 1986. 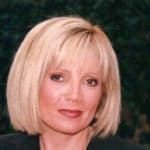 Her areas of expertise are in the area of parental alienation, parenting plans, parenting training, and coaching, dealing with high-conflict families, divorce coaching, conjoint therapy, domestic violence, substance abuse, reunification therapy, PTSD, parent-child relationships, child sexual abuse and allegations of alleged sexual abuse.